USE THE JOIN EMAIL NEWSLETTER link at the top and bottom of page to get updates on next available classes. In the 1990's, JRH pioneered medical training for survivalists with Survival Medicine I, II, III, IV and V classes. 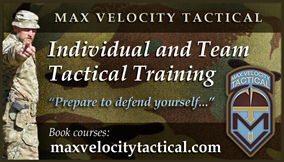 Now we are proud to offer a 2-day Tactical Lifesaver course. Training will include hands-on training with IV solutions, suturing, wound debridement, transportation and protection of wounded personnel (how to get them out) plus numerous practical exercises. This two day course costs only $350.00 for BOTH DAYS! Compare this to $200.00 PER DAY for courses that do not even cover IV's, suturing and other necessary skills. Space is limited in this class to preserve a low instructor to student ratio. Reserve your space now with a $50.00 deposit. APRIL CLASS WAS A GREAT SUCCESS! USE THE "SIGN UP FOR EMAIL NEWSLETTER" LINK AT THE TOP OF THE PAGE TO GET UPDATES ON NEXT CLASSES.